I was needing Friday to come along this week...just one of those weeks, you know? And I got some great news this morning, which made it all the better! The news pertains to the thing that I am not quite ready to share publicly yet...but it is very good news, so if you feel like celebrating with me- then please do! I have some cards to share today...obviously, since I am updating my blog. Hee hee! So, Cath has posted a challenge on the Moxie Fab blog to use the color combo of yellow and grey. My first reaction was...um no. But while going through a stack of papers last night, I cam upon this gorgeous yellow Hambly paper. It made me think of the challenge, and then I remembered that I had some great grey in the American Crafts "Moda Bella" line. And viola...the card below came to fruition. I actually really like it...I am glad I decided to climb outside of my color box. 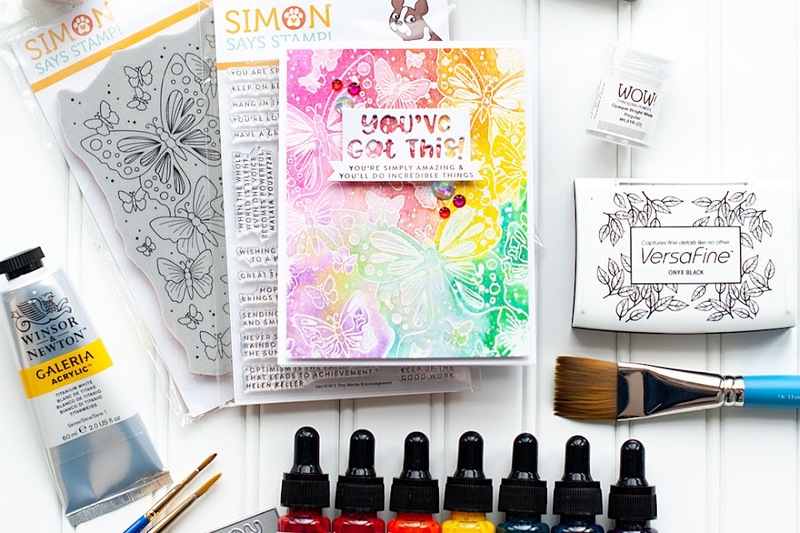 :) Other supplies include Bazzill cardstock, American Crafts & Autumn Leaves rub-ons, Michael's brand ribbon, Doodlebug rhinestones and Prima crystals. Up next is my card for Cuttlebug Be Inspired #17, where the challenge is to use a love theme. So, I channeled my inner Danni, and did some white on white action, after embossing with the "Swiss Dots" folder. She does this WAY better than me...but I like how it turned out! This uses some Basic Grey "Euphoria" paper, which I have had in my stash forever! Then I threw in some new K & Company valentine embellishments (brad & stickers), some Michael's rouched ribbon, and some Glitz Designs rhinestones...and this is what came together! This card is also based on ICSKetch #2...a new sketch blog! Check it out if you like! I couldn't resist this next challenge when I was perusing Melissa Philip's blog. 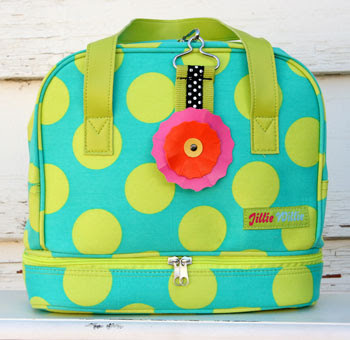 She posted a challenge to use this cutie bag by Jillie Willie as inpsiration, and the winner actually gets one! And while it would be awesome to win it, it was just as fabulous to use it as inspiration! The bright colors, the polka dots, the little bit of black...what isn't to love about this? And last, but definitely not least...is a card I did based on this super adorable sketch posted Tuesday on the So Sketchy blog. Be sure to go check it out...I loved it when I laid my eyes on it! This uses one of my fave paper lines, "Happy Place" by Sassafras Lass. That tree was cut out using my Cricut Expression, and the "Pooh & Friends" cartridge. This cart has some really cute non-Winnie the Pooh cuts, like this tree for example. 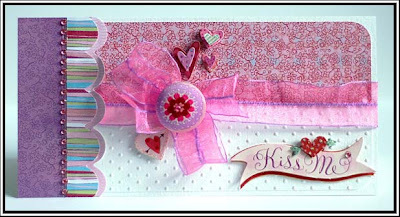 :) This card also uses random scraps of cardstock, American Crafts glitter thickers, Making Memories glittered letter stickers, Glitz Designs & Westrim Crafts rhinestones. I have no idea who made the cute little apple sticker...it came in a kit a long time ago. I love it though...wish I knew the mfgr! As for the rest of the weekend...who knows. Josh is making his yummy deer/elk steak morsels on the grill tomorrow afternoon. He cuts the steaks into chunks and marinates them. Then they get wrapped in bacon and put on the BBQ. SO yummy. I only like the elk ones, so he color codes the toothpicks that hold them together. Isn't he a great hubby?! Hi my friend! How are you? 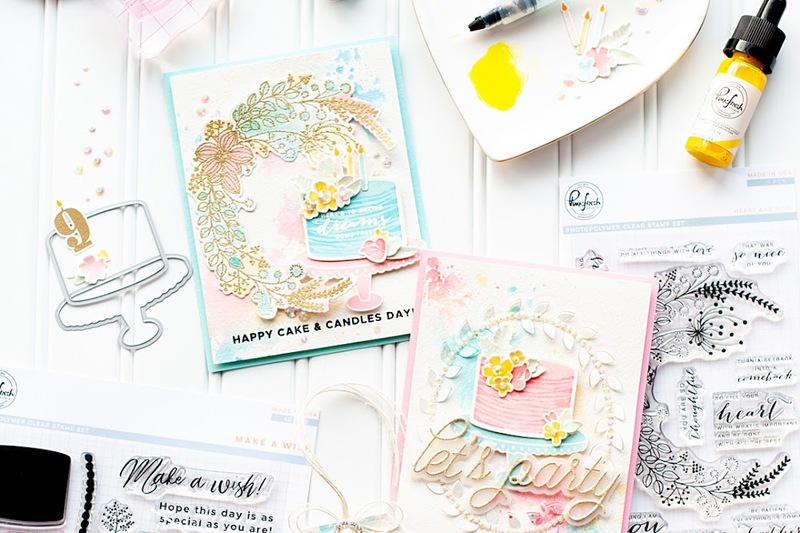 What a happy, happy place to visit...all of your cards are so much fun and wonderful, tiny, bits of inspiration. I love the card you created for the challenge...it's adorable and so creative. Thanks for playing along and my goodness...I can't wait to hear your exciting news. 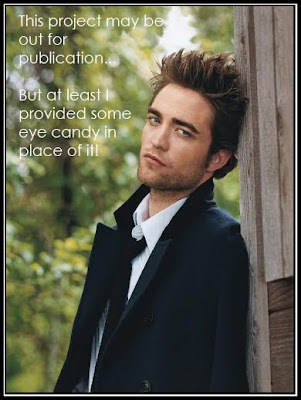 Oh my GOODNESS....such eye candy for today!!! You always do such fantabulous work!!!! Looking forward to hearing your great news...have a super weekend!!! Stunning cards Lea! You have been entered into the February contest at So Sketchy! Hope to see more of your work! Beautiful cards Lea! I like Friday Night lights too, I'm so glad its back on NBC. WOW!! Don't make me pick a fav...I love every one of these AND I love you used some older stash too:) Thanks for playing over @ So Sketchy...hope you'll come back. What beautiful cards Lea. These colours are just fab - so happy and bright. Thanks for joining us at ICS and using sketch #2. OMG ! 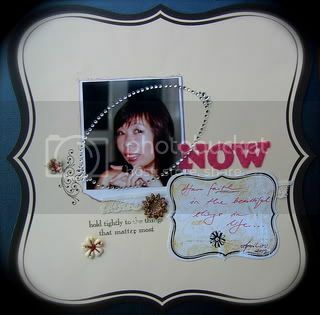 Such darling card creations all, Lea ! Love your intepretation of ICS#2 - love the BG Euphoria ! Thanks for playing along this week ! every one of these projects is STINKIN cute. I mean seriously! What wonderful talen you have! I am so glad you came over to ICS to play!!! I love all of these cards. I'm so excited for you and your good news. Especially love your Melissa challenge card. So great! Woah....let me pause a moment as I try to lift my jaw off the floor...your projects always do that to me, and when you post as many as you did today, I end up being breathless as I ooh and ahh over every single one! Love them all, girl! You make wonderful paper crafts! Have a great weekend! Each and every one of your creations are so beautifully made and the attention to detail is wonderful!! Gosh you make some gorgeous cards Lea!!!!!!!!! I am always inspired by everything you post. Girl, you are soooo good! Every single one of these is just fabulous! WOW! Stunnigly gorgeous cards..every single one. I adore the card you made taking the inspiration from the bag. Congrats on your great news..whatever it may be..i shall stay tuned to find out more! Lea, I'm so glad I found your blog! I don't know if I found you at 2S4Y or MelissaP's, but I will check you regularly! I love your work! I have become fascinated by what I call scrappy cardmakers! I'm a stampy, myself, but I have really been influenced by the scrappies lately!! You guys rock!! 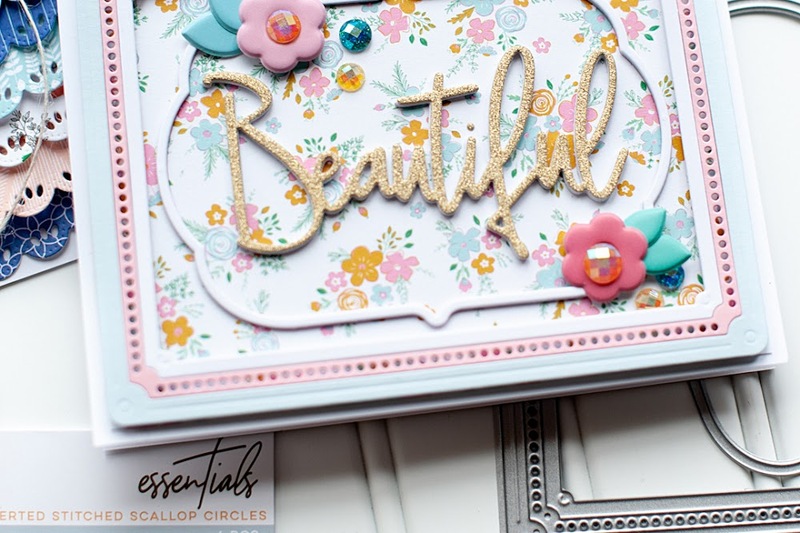 Thanks for stopping by my blog and for your sweet comments :) I absolutely love all of your cards here and the one for Melissa's challenge is just fabulous- the colors, design...love it! Gorgeous cards! Love the eye candy. What you did with the IC Sketch is just so beautiful! Thanks for joining us over at ICSketches! WOW! These are all so fabulous, you blew me away! I love your cards! You did a great job with the sketch at Inspirational sketches! These cards are stunning!! Love them all! Love your funky cards..they are really fun but have such an edgy graphic feel to them. Hi Lea - thanks for visiting my blog and for your nice comments! I love the card you did for Melissa's challenge - I just love the colors you chose. So bright and pretty. Good luck on the challenge! Beautiful cards Lea!!! Love it! These are all fabulous Lea! 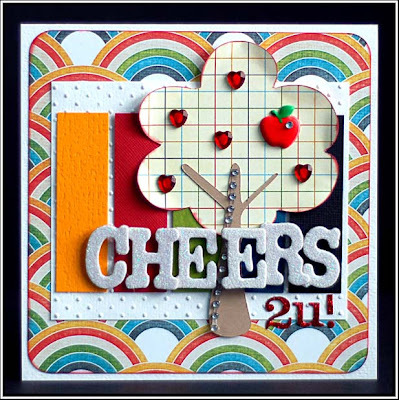 Your 'cheers' card is especially adorable! I loved hearing how your hubby color codes the toothpicks for you :) Very sweet. you make beautiful cards. thanks for using the ICS sketch. loved your card for that sketch. you work white on white as brilliantly as you do color, wow! you can create ANYTHING, you are such an inspiration my friend! I like every card I saw here. Great work. These are all such great cards! Thanks for playing with us at CB Challenge this week. wow! they are all just stunning cards! you are so good with color combos! they all just jump off the cards!